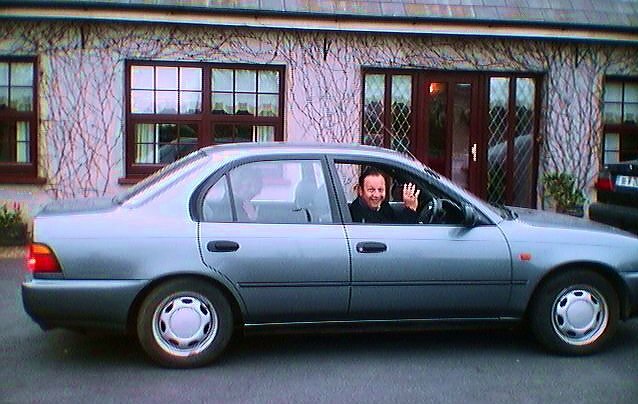 We rented this beauty in Dublin so we could begin our adventure driving on the left side of the (not all that great) roads on the east coast of Ireland. Luckily, this Toyota had an automatic transmission, because both hands tended to be on the wheel at all times (except in this photo). By the way, this picture was taken in front of the Roncalli Guest House (Bord Fáilte approved), which was less than a mile away from the Waterford Crystal (or cut glass) complex. If anyone is headed that way, I'd strongly recommend this B&B for an overnight stay in Waterford. At the Waterford Cut Glass (a.k.a. Crystal) factory, we spent a couple of hours marveling at the beauty created in glass and by light. 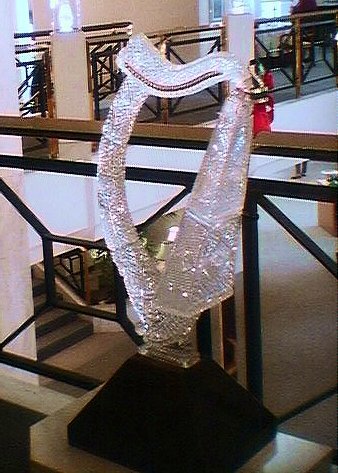 This crystal harp in the showroom may or not have been for sale, but I have a feeling I wouldn't have had enough punts (IR£) to add this instrument to my collection. 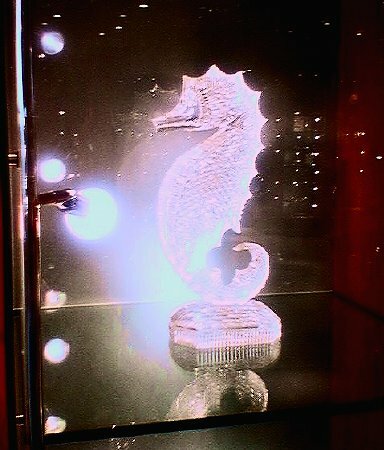 If I ever go back, I believe I will invest in a smaller version of this Waterford seahorse. This one would have surely set me back about a thousand dollars. One that I saw for about $140 (and yes, Mom, that's in "real" money, as you call the USD) was approximately one tenth this size.